My brother, who gifted me this bottle, used to live in the area of Hershey, PA where this beer is brewed. 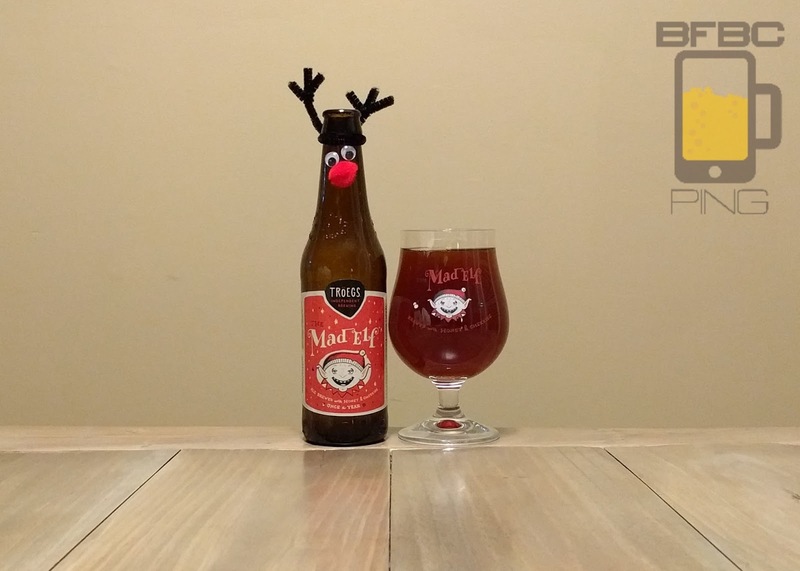 He said that he and friends used to go to a bar that had this beer available and get a bit tipsy after just a few beers (after all, 11% ABV is nothing to be sneezed at) and referred to it as "Getting Elfed." Well, I only have one of these to try, but I have a glass that matches it (thanks to the House of 1,000 Beers). The deep brown-amber beer is relatively clear for a Belgian Ale, which is to say that light doesn't pass through it, but there don't seem to be chunks of anything floating around. The head dissipates very quickly, and nothing remains but a few scant bubbles clinging to the sides of the ornate glass. The aroma is raisins and plums, but cherries are taking over things. First sip is a bite from Belgium by way of Pennsylvania. It has those cherries out front with their slight sourness and then the earthy goodness of the plums and raisins are backing it up. Sourness, though slight, remains on the tongue and is a definite hallmark of the beer. 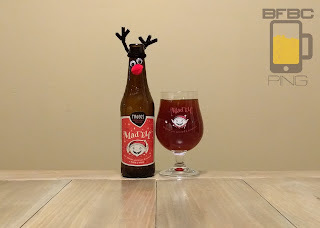 Having tried the "Naked Elf" at a bar, I can tell you that it is better with the cherries in it, but the experience let me know how much is backing them up. Tip-in is quite sour without much flavor. It is so much stronger than I remember from the sip just a few seconds ago, but it hits hard and brings a bit of a sting from the carbonation. The middle is where most beers bring their own personalities, and this one is no different with its earth, honey, dark fruits, raisins, and yeast backing up what is a very light cherry syrup right here. As the finish takes over, the beer shows a hint of lemon with the renewal of the sourness and the cherries and plums dancing their dark dance. Bottom Line: This is an excellent winter beer or pretty much any time you want a beer that stands apart from the rest.